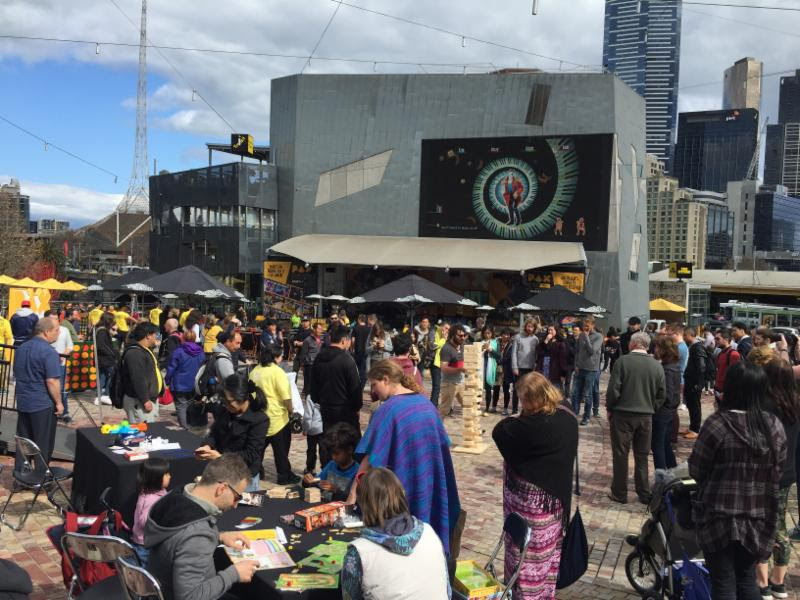 It’s GAME ON at Federation Square! MELBOURNE – 28 Aug., 2017 – Melbourne gamers are in for a massive treat this weekend when the PAX Australia organizers arrange a pop-up event in Federation Square. This Friday and Saturday, 1-2 Sept., everyone can get a free sample of PAX Australia 2017, taking place 27-29 October at the Melbourne Convention and Exhibition Centre. At Federation Square gamers can compete in high-score tournaments on a massive screen, play some of the hottest recently released games, win multiple prizes including PAX Aus 3-Day badges, admire or dress in cosplay and enjoy a Friday night concert featuring local Melbourne bands. Tabletop fans can battle in giant Jenga, Connect Four and other board games. Tickets for PAX Australia 2017 are currently on sale via the official registration page. Friday Only, Saturday Only, and Sunday Only passes cost $65 AUD, while Three Day Passes and International Three Day passes are available for $165 AUD. Attendees wishing to bring their own computer can purchase a BYOC pass for an additional $45 AUD. Working journalists as well as YouTube and Twitch content creators interested in attending PAX Australia to create coverage of the event may apply for a media pass. For further information, visit the Official Website or follow PAX Australia updates via Twitter, Facebook and Instagram.